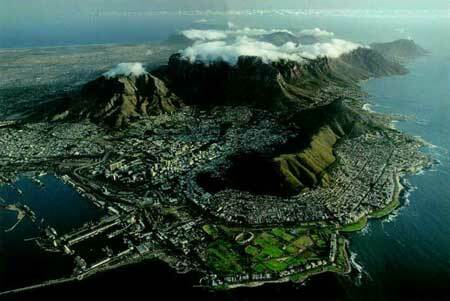 Cape Town is a very vibrant and diverse city with Table Mountain overlooking Cape Town central. The Cape Town CBD (Central Business District) is not large when compared to any other major global metropolis however its diversity is unparralled. Due to the relatively small nature of the City bowl it is easy to explore and to see all the places without having the need for transport within the CBD. Do note, a city map is still a necessity as well as instilling your general safety first factor you would have in any major city worldwide. The Museum Mile, the Company Gardens, Greenmarket Square, St Georges Mall, the Bo-Kaap are all part of the Cape Town City Centre. Numerous excellent hotels, loft apartments, trendy restaurants and bars can be found in the heart of the city and along the coast. Take a trip up Table Mountain; visit the V&A Waterfront or make use of world-class conference and hotel facilities. Last, but not least, take the trip to Robben Island, the former home of Nelson Mandela. Along with the City Centre and Table Bay Harbour, Cape Town Central includes the beachside suburbs of Bakoven, Bantry Bay, Camps Bay, Clifton, Fresnaye, Green Point, Mouille Point, Sea Point, Three Anchor Bay and further along to Llandudno and Hout Bay. It also includes the trendy city suburbs of Higgovale, Gardens, Vredehoek, Oranjezicht and Tamboerskloof. Don’t miss out on the culture of Woodstock, Observatory and Zonnebloem too.